What Is It & How Can I Protect My Cat? 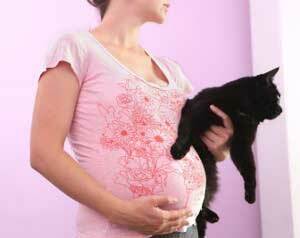 Toxoplasmosis is an infection caused by a microscopic parasite. It is found in many warm-blooded animals all over the world but has only been found to reproduce in the cat. This is not good news as many of us own a pet cat or have cats living in the neighbourhood. However there is no need to panic, as it is very easy to protect our selves from possible infection and indeed many people who do become infected show no ill signs at all. It is estimated that over half the population are already immune. A cat may pick up the infection via other cats faeces or in the eating of meat that contains the parasite. It is therefore more common in cats that regularly hunt and eat birds or rodents. Kittens may also be born with the infection. The eggs of the parasite are passed through the cat into their faeces for only a short time after the cat first becomes infected. After which time the cat's own immune system will kill the parasite. The eggs are microscopic and therefore cannot be seen. Basic hygiene is all that is needed to protect yourself from possible infection. The eggs become infectious 24 hours after being passed and only once they have been swallowed. So the removal of cat faeces from litter trays and lawns as soon as possible after passing is a good safe guard against possible infection. How Do Humans Catch Toxoplasmosis? Coming into contact with infected soil or unwashed vegetables that may have been exposed to infected cat faeces. The eggs can remain and survive in soil for up to 18 months, so it is always wise to take precautions even if you no longer have a cat. Stroking - but it is always advisable to wash your hands after handling your cat, just to be on the safe side. The symptoms displayed in our cats can be extremely varied and depends on what organs of the body are infected. Young cats may become ill will broncho-pnuemonia. Other symptoms may be vomiting, diarrhoea, jaundice and inflammation of the iris, however only one or two of these symptoms will be displayed in each cat. In some situations the cat's brain may become infected, when this happens the cat may become unsteady on their feet and stagger around or go around in circles. However the only way of a positive diagnosis is via a blood sample. In the rare occasions that a human becomes infected the symptoms are similar to flu or glandular fever. This will soon pass if you re generally fit and healthy, it only become dangerous for those who have a compromised immune system like sufferers of HIV or AIDS or young babies. Catching the infection is something that none of us wants to do but for pregnant women it is definitely something to avoid as there is a 40% risk that the infection could affect the unborn child. However antibiotic treatment can reduce these risks if you think that you have come into contact with the parasite. A simple blood test will be able to confirm an infection. 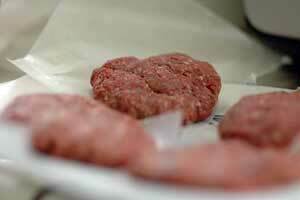 Do not eat raw or uncooked meat, especially if you are pregnant. Wash hands immediately after handling raw meat, fruit or vegetables. Wash work surfaces and knives thoroughly after chopping raw meat or vegetables. Wear rubber gloves when cleaning out the litter tray. Clean up any cat faeces as soon as possible after passing if possible, as the eggs do not become infectious until 24 hours later. Do not feed your cat raw meat or untreated milk, as this is a way for them to catch the infection. 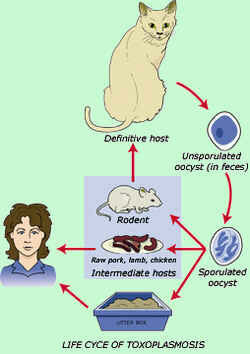 And for those farmers out there, if you are pregnant don't assist in lambing, as Toxoplasmosis is present in sheep. There is no reason to overly worry about this particular infection, as basic hygiene is all that is needed to protect yourself and your cat from the parasite. Easy-to-use dosage syringe measures 2 tsp. and 10mL. Very useful for giving oral medications and force-feeding pets.